(Family Features)--Just when you were getting the hang of having a baby at home, it's time to go back to work. 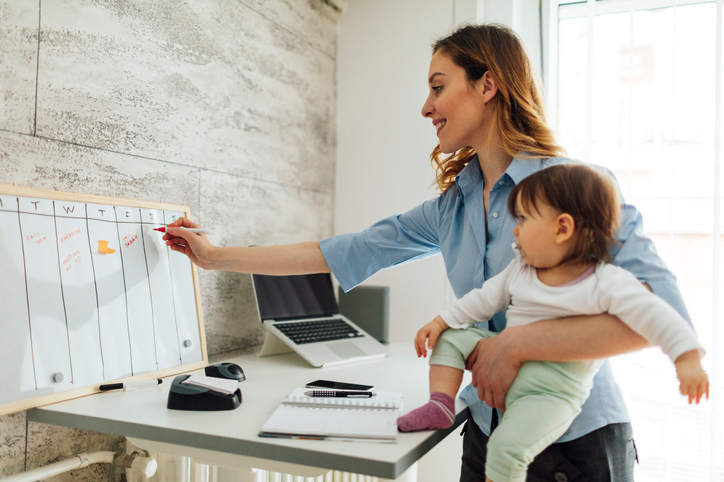 Beyond the expected changes such as picking work tasks back up and catching up on things you've missed, your priorities have most likely shifted now that you're a parent. It's normal for parents to feel anxious about transitioning back to work after having a baby, but they don't have to do it alone. Most new parents have built-in support systems of friends and family, but if their child will be attending daycare, that structure can provide additional help through the transition. 1. Choose a daycare near work. A parent's first instinct might be to choose a daycare that's close to home, but once you return to work you may appreciate having your baby nearby - whether to breastfeed or just get some mid-day snuggles. "We have an open-door policy," says Regina Campisi, a nine-year KinderCare infant teacher. "Come in during your lunch break, feed your baby, have lunch with us and get to know your child's teachers. Be a part of the educational process. It's important to bridge that gap between work and school." "Before you have your baby, you're going to have all these questions," Campisi says. "After you have your baby, you're going to have different questions. You're going to want to show your daycare provider what your baby needs." When parents are on leave, sleepless nights are one thing. However, once parents have to get up at a certain time for work again and get their baby ready for daycare, they can find they're operating on a whole new level of sleep deprivation. "Going back to work is a very fast-paced time for working parents," says infant teacher Megan Martina, who has worked with KinderCare for seven years. "That's why it's important to rest and take care of yourself. Make sure you're eating and that you have someone to help you." "I always say, 'Don't pour from an empty cup,'" Campisi says. "If you have a day off, let me take care of your baby. Go to the grocery store; take a long shower; take a lunch break; get a new book; do something for you."